In an age of rapid digitalization, can a sprawling and decades-old government institution keep up with the times? The 70-year old National Health Service (NHS), set up in the immediate post WWII era in the United Kingdom, has been envied by countries across the world for its ability to deliver high quality health services to a general population at a low cost. The United States, for one, modeled the founding of its own Medicare system nearly two decades later on the principles of the NHS. Yet the NHS has not been commonly viewed as a source of innovation, acting both as a teacher and a student for disruptive start-ups active in digital health technologies. Over the years, the NHS has been working to promote innovation in British healthcare. It prides itself as an early adopter of key components in the digital health market, such as digital imaging, telecare, mHealth, and wearables. The NHS aims to become fully digital, allowing every patient in the U.K. to access their medical records and book a doctor’s appointment through an app. “The time we realized that digital tools could help us significantly in the way we needed to transform the NHS was about 5 or 6 years ago when we launched our 5-year plan,” says Noel Gordon, Chairman of NHS Digital in the U.K.
That plan focused on challenges like how to help people age well and live longer, how to moderate the impact of diseases, such as diabetes, heart problems and mental health issues. The catalyst, as it so often is, was spiraling cost. “It was a realization that we couldn’t sustain the NHS as a free at the point of use system for the next 70 years unless we started to digitalize fast,” Gordon adds. The NHS, he notes, had to think of which technologies to adopt, what patients will actually stick with, and how to implement these innovations successfully. “I guess the time was right, the conditions were right. The ideas were ready. We just had to get ourselves mobilized and organized to be able to implement what is one of the biggest transformations in Europe of any organization,” he says. Much like the Ministry of Health in Singapore, the NHS is actively working with both local and global partners to push the boundaries of traditional healthcare. Scott Wightman, British High Commissioner to Singapore, says that as the world’s largest publicly funded healthcare service, it’s been vital for the NHS to adapt and evolve so that it can find low-cost, innovative solutions to improve healthcare services for ordinary citizens. “Innovation is incentivized within the NHS and encouraged through the NHS’s unique set up of academic health service networks, connecting with academic organizations, local authorities, and the private sector,” Wightman says at the sidelines of HI.TECH 2019, a healthcare infrastructure conference organized by MOH Holdings and the Ministry of Health in Singapore. Gordon points to the “energetic and creative small business world” as a source of innovation, with many of the NHS’s clinicians being entrepreneurs as well. The push to bolster U.K.’s health ecosystem is paying off. Lorena Puica, founder and CEO of iamYiam, a U.K.-based personalized healthcare platform, says U.K.’s wealth of expertise in healthcare coupled with the presence of academic institutions is the perfect combination of inspiration, imagination, as well as robust science and knowledge for start-ups in the country. “[That] has also been our inspiration to develop iamYiam as the world’s first preventive health platform that brings together a very creative, people-centric approach to prevention, while at the same time, being backed by science and data,” Puica says. For Patricia Collocott, managing director at Serco, Asia-Pacific, innovation in healthcare is “incredibly important” in transforming the way people get access to healthcare. Serco is a provider of public services based in the U.K. In Asia, Collocott observes the movement towards a more holistic view of healthcare, paying less attention to the creation of brick and mortars in favor of promoting physical, social, and mental wellness in the communities. Wightman says that in the area of healthcare, the U.K. and Singapore have much to learn from each other. He stresses that the U.K. is not only home to world-famous hospitals and universities like Oxford and Cambridge, but it also boasts of healthcare expertise across a range of areas, including data analytics, app development, augmented reality, electronic health records, and remote monitoring. The experience of seven decades in health care delivery by the NHS and other arms of the U.K. healthcare system provide an invaluable trove of data for start-ups to learn from and generate innovative solutions. Case in point: the partnership between Singapore’s Fullerton Healthcare and Puica’s iamYiam Group. The two companies recently announced a strategic partnership that is expected to boost their capabilities in addressing health issues as a result of ageing and lifestyle. “We believe when seeking solutions to meet the rapid pace of the industry, it is vital to view the system through a holistic lens that enhances support for patients at all stages, from investigation, intervention and treatment, to prevention and maintenance of health,” says Dr. Daniel Chan, co-founder and group deputy CEO of Fullerton Healthcare, in a statement. Puica adds that as Asia deals with an ageing population and a growth in lifestyle diseases, it becomes all the more important that people are equipped with the right knowledge and tools to take charge of their health. These kinds of partnerships prove that in a post-Brexit world, the U.K. healthcare ecosystem is a fertile ground for research and investment by Singapore and Southeast Asian based start-ups in health care, with potential applications for the rest of the world. 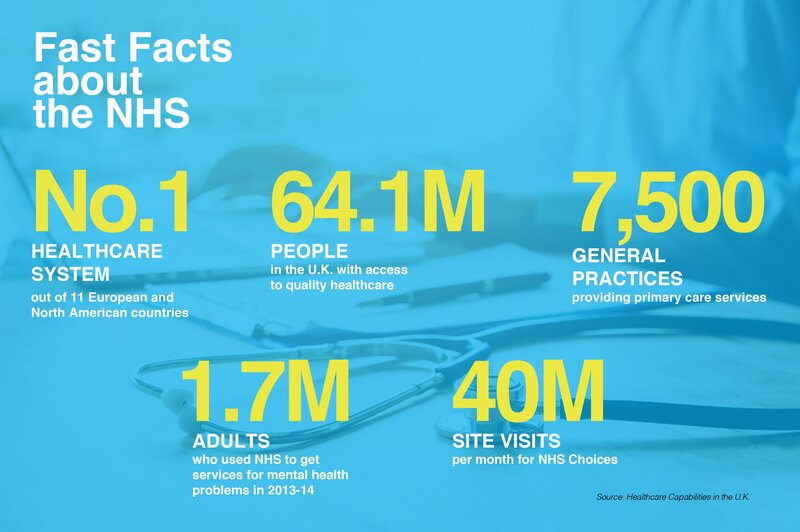 The NHS works closely with its global partners to achieve the same level of quality and reliability for their own healthcare systems. To know more about how to become a partner, visit the NHS website.